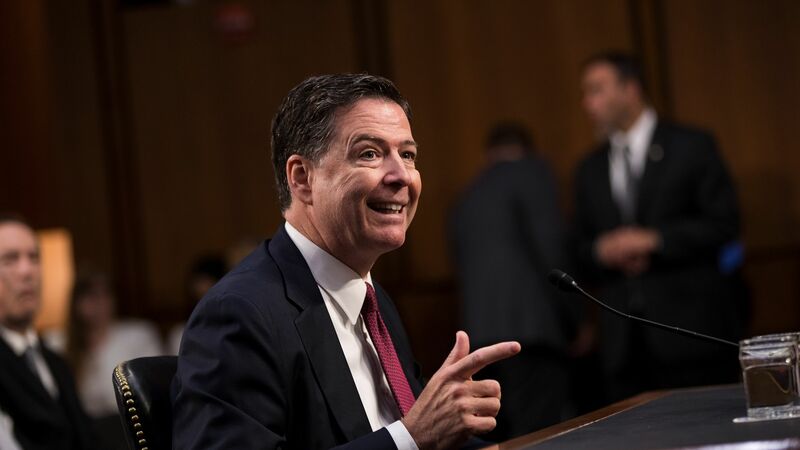 Exclusive James Comey book excerpt: Inside the "loyalty dinner"
"He said lots of people wanted to be director of the FBI, but that he thought very highly of me. He said he had heard great things about me and knew the people of the FBI thought very highly of me as well." "He said despite that, he would understand if I wanted to 'walk away' given all I had been through, although then he noted that that would be bad for me personally because it would look like I had done something wrong." "Now it was pretty clear to me what was happening. The setup of the dinner, both the physical layout of a private meal and Trump’s pretense that he had not already asked me to stay on multiple occasions, convinced me this was an effort to establish a patronage relationship." The big picture: We're told Comey "feels a sense of mission" ahead of a coast-to-coast tour, launching Sunday at 10 p.m. with an interview with ABC News chief anchor George Stephanopoulos. Go deeper: Comey felt Trump was sitting "on a throne"